The Apple iPad 2 has launched with a complete new design, New chip called A5 and camera. It comes with the dual-core CPU, with the double speed of iPad first generation. The iPad 2 has the front and rear facing cameras, which would be helping in video conferencing and also capturing pictures respectively. 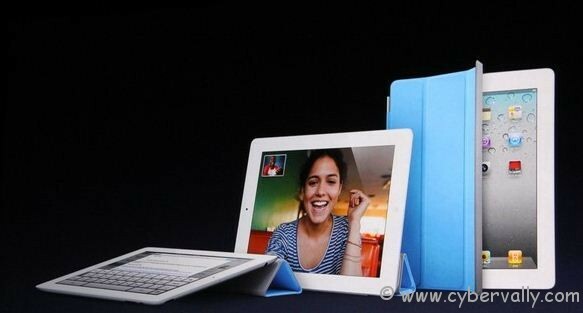 he new iPad 2 is one-third thinner than the first-generation model, just 8.8mm thick, even thinner than the iPhone 4. At just 1.3 pounds, it is lighter than the previous 1.5 pound iPad. 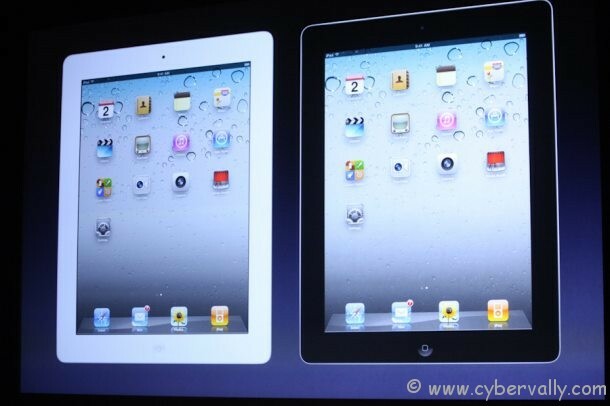 The new iPad 2 will be available in two colors, black and white. It also sports the same 10-hour battery life. A new accessory cable will also offer mirrored HDMI video out to HDTVs for 1080p high-definition output. The $39 cable allows users to charge their iPad while using the video out feature. Another accessory announced by Apple is a magnetic “smart cover,” which covers the front of the device. Covering the front of the device automatically locks the device, while taking it off will unlock it. Microfibers on the screen cover are said to clean the iPad 2 display, while magnets will automatically align the cover on the screen. If you’re a Facebook user and want to keep up on the latest threats and security news why don’t you join the CyberVally Facebook page?